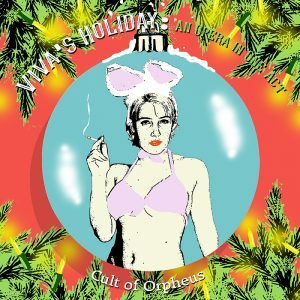 If you don’t yet know the story (or music) of Viva’s Holiday: An Opera in One Act, you can learn all about it – including some of the wonderful reviews of the premiere – on our Viva’s Holiday page. We can’t make this record without community support. We must raise $15,000 by October 15! We welcome all levels of support, from a few dollars to sponsoring a performer to major business sponsorship. Learn more on our Donate to Viva’s Holiday page.